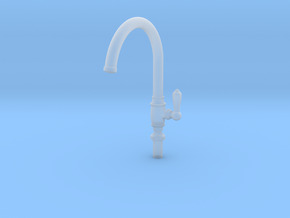 Tall modern faucet for your 1:12 miniatures. 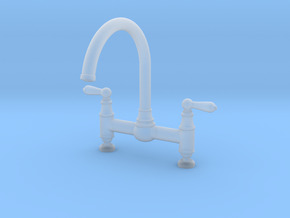 This tall faucet would be 11" in real life. Perfect for your bathroom settings. 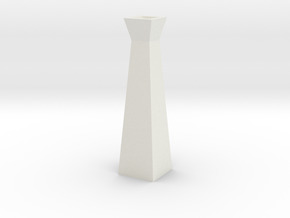 I suggest getting this printed in the "polished" version or steel. Please note that Stainless Steel prints with a bronze/pink undertone is therefore not a true silver (see photo). Also Stainless Steel will need a little bit of brushing around the handle indent to remove leftover particles.